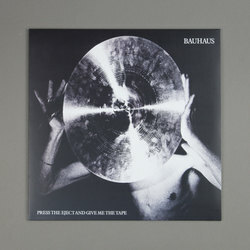 Bauhaus - Press the Eject and Give Me the Tape. Vinyl LP. Bleep. 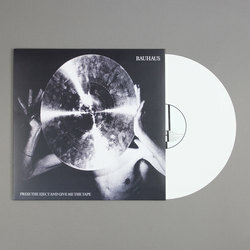 The acclaimed 1982 live LP from Gothic rock instigators Bauhaus gets the reissue treatment just in time to coincide with the 40th anniversary of the group’s first rehearsals. A thousand and one bands may have formed after going to Bauhaus concerts down the years, but on Press The Eject And Give Me The Tape the group remind all their imitators that there is nothing better than the real thing. Few outfits can hold a candle to Bauhaus for the combination of pomp, drama and ferocity that they had live. These recordings, taken from shows in London and Liverpool at the start of the ‘80s, capture the band in full flight. 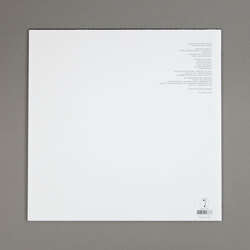 This new edition defers to the 1988 track listing and as such includes six bonus cuts - one of which sees the band teaming up with Nico to cover The Velvet Underground’s ‘I’m Waiting For The Man’.